The week of the 12th-18th February was perhaps the most significant time to date for all our Four12 Partners across Europe. Up until these very significant few days we were best described as a number of loosely connected gifts from various churches across the continent of Europe. There is no doubt that cultural differences, even language barriers, have shown themselves to have the potential to threaten the advancement of any significant Kingdom work. Fortunately, we have God’s Spirit and presence, connecting hearts and bridging differences to create something that has shown itself to be a potent force for Jesus! Spending just a few days together at our Four12 Connect at Waverley Abbey (a beautiful retreat centre in Surrey, England) proved to be a unique example of God’s desire to accelerate beyond all human ability the deep relationships necessary to move us from networking friends to partnering brothers in the gospel. 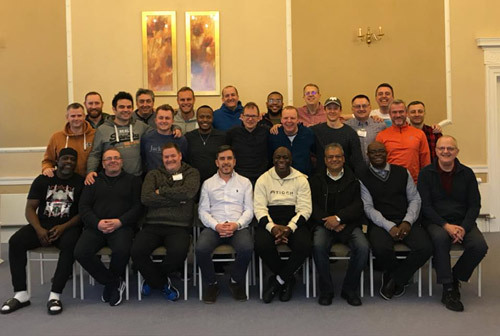 From the start, it was very clear that this seemingly random gathering of leaders had come with a genuine hunger to connect, encourage, grow together and learn from each other so that through us, the Kingdom could expand through healthy, vibrant churches. A multitude of nations were represented, England, Ireland, Scotland, South Africa, Poland, Isle of Man, Switzerland and even India! It was an extremely rich and diverse group, but over a number of teaching and ministry sessions, diversity was soon replaced by close alignment and unity in the firm pursuit of Jesus. There were too many highlights to choose from, great teaching, worship that broke open tender moments of brothers bearing their hearts to brothers ministering encouragement and healing. A powerful prophetic session seemed to take the already established heart links to a deeper level. Significant words were spoken over ARC church, London and All For Jesus Switzerland whet our spiritual appetites for a long, exciting future together ploughing the European field. 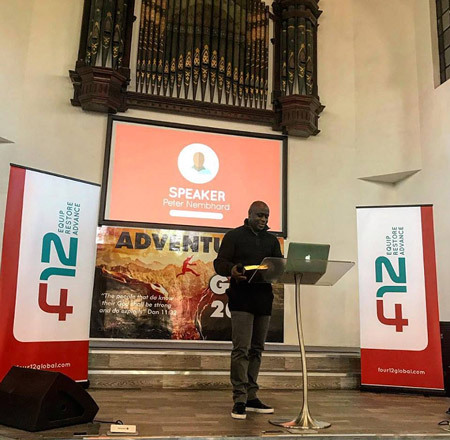 The deep unity and alignment birthed in this short period of time clearly impacted the first Four12 Regional Equip in Europe hosted by out Partners, ARC church, Forest Gate, London which took place directly after our Connect time. At the start of the Equip we were greeted by our hosting church, ARC, with a fantastic and warm welcome. This was just the start of what turned into one of my most memorable Four12 experiences in the last 6 years. Apart from some great teaching, what really blessed me was witnessing the complete melting away of cultural differences. This was a beautiful picture of the spiritual temple, the kingdom of priests, people from many different races with different coloured skin simply loving each other, laughing together, weeping together, ministering to one another and celebrating King Jesus. It was so special, and it was just the beginning of a powerful army rising up to represent Jesus in Europe, one which I am sure will move in influence and significance as the Lord builds His house amongst us. Yes, there is a lot of work to be done, changes to be made, foundations to be pulled up and re-laid, but one thing is for sure, what the Lord did between the 12th and 18th of February 2018, will echo throughout eternity. It could not have been manufactured by man, it was too significant, too supernatural, and it all happened in the space of just a few days. Only the Lord knows what we as Four12 in Europe will achieve in the coming few years under the authority of His hand and the might of His Spirit, but one thing is for sure, you will need to ready your passports. Europe is online, the boundaries of our field have been shaken and expanded, and a banner raised, the name of Jesus will be known, and we were there, right at the start, right at the formative stages, how blessed are we? Euan serves at Living Hope Church, is married to the wonderful Karen and they have 3 gorgeous children, Holly, Conor and Skye. He has a passion for worship, teaching and raising up young leaders. You can follow him on Facebook.